1936. George Street, West Yorkshire, houses a gleaming, brand-new telephone exchange where a group of capable girls works the complicated electrical switchboards. Among them are Cynthia, Norma and Millicent, who relish the busy, efficient atmosphere and the independence and friendship their jobs have given them. But when Millicent connects a telephone call for an old friend, and listens in to the conversation - breaking one of the telephonists' main rules - she, and then Norma and Cynthia too, become caught up in a story of scandal, corruption and murder. Soon, the jobs of all three girls are on the line. Norma's romance is in ruins. And Millicent has entered a world of vice . . . 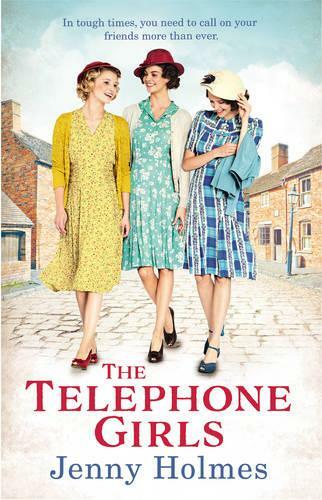 In tough times, the telephone girls will need to call on their friends more than ever. A wonderful story of camaraderie, friendship and triumph over adversity that fans of Daisy Styles, Donna Douglas and Call the Midwife will adore.